After 9/11, there was an increase in both the incidence of hate crimes and government policies that targeted Arabs and Muslims and the proliferation of sympathetic portrayals of Arabs and Muslims in the U.S. media. Arabs and Muslims in the Media examines this paradox and investigates the increase of sympathetic images of “the enemy” during the War on Terror. 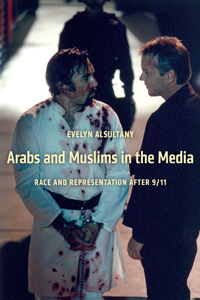 Evelyn Alsultany explains that a new standard in racial and cultural representations emerged out of the multicultural movement of the 1990s that involves balancing a negative representation with a positive one, what she refers to as “simplified complex representations.” This has meant that if the storyline of a TV drama or film represents an Arab or Muslim as a terrorist, then the storyline also includes a “positive” representation of an Arab, Muslim, Arab American, or Muslim American to offset the potential stereotype. Analyzing how TV dramas such as The Practice, 24, Threat Matrix, NYPB BLue, Law and Order, and Sleeper Cell, news-reporting, and non-profit advertising have represented Arabs, Muslims, Arab Americans, and Muslim Americans during the War on Terror, this book demonstrates how more diverse representations do not in themselves solve the problem of racial stereotyping and how even seemingly positive images can produce meanings that can justify exclusion and inequality. “A major, skillfully constructed, must-read book …. It should be required reading for all Americans who care about and seek to eradicate injurious stereotypes of the evil Cultural Other.” – Jack G. Shaheen, author of Reel Bad Arabs: How Hollywood Vilifies a People and professor emeritus. “This important book makes a significant contribution to the burgeoning scholarship on the post-9/11 cultural and political history of the United States. Drawing on a rich understanding of the representations of Arabs and Muslims in the last century, Alsultany helps us to understand what has changed, and what has not, in the last ten years.” – Melani McAlister, author of Epic Encounters: Culture, Media, and US Interests in the Middle East and professor at George Washington University. Tarik Ahmed Elseewi, “Arabs and Muslims in the Media: Race and Representation after 9/11,” Cinema Journal, Vol. 54, Iss. 4, Summer 2015, pp. 165-168. Kristian Petersen, “Arabs and Muslims in the Media: Race and Representation after 9/11- A Review,” Religion in American History, August 27, 2014, http://usreligion.blogspot.com/2014/08/arabs-and-muslims-in-media-race-and.html. Siobhan Holohan, “Reading Representations/Representing the Self: The Cultural Politics of Islam,” European Political Science, Vol. 13, May 23, 2014, 297-301. Juan Poblette, “Between the Middle East and the Americas: The Cultural Politics of Diaspora,” Mashriq & Mahjar, Vol. 2, Iss. 1, Spring/Summer 2014, 166-170. Anamik Saha, “Arabs and Muslims in the Media,” Journal of Popular Communication, Vol. 12, Iss. 1, 2014, 65-68. Choice Review, “Between the Middle East and the Americas: The Cultural Politics of Diaspora,” Choice, October 2013, 242. Jason Archbold, “Arabs and Muslims in the Media,” Media International Australia, No. 149, November 2013, 190. Malay Firoz, “Arabs and Muslims in the Media,” Social Anthropology/Anthropologie Sociale (2013) 21.4: 576-577. Naved Bakali, “Arabs and Muslims in the Media,” Cultural and Pedagogical Inquiry, Vol. 5, Iss. 1, 2013: 39-42. Thomas Abowd, “Arabs and Muslims After 9/11, Against the Current, 164, May/June 2013. 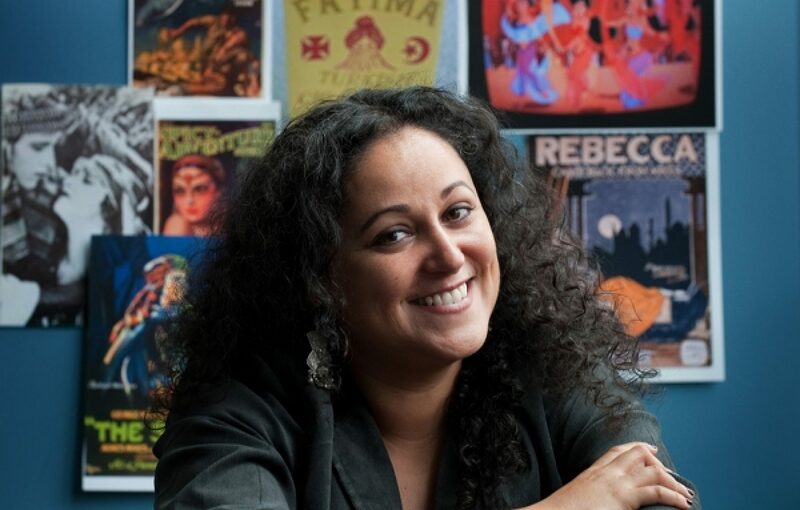 Umayyah Cable, “New Wave Arab American Studies: Ethnic Studies and the Critical Turn,” American Quarterly, Vol. 65, Iss. 1, March 2013, 231-243. Pauline Mouhanna, “Les Arabes et la télé americaine: Le Déchiffrage de Evelyn Al Sultany,” L’Hebdo Magazine, January 11, 2013, 62, http://magazine.com.lb/index.php/fr/component/k2/item/2253-les-arabes-et-la-télé-américaine-le-déchiffrage-d’evelyn-al-sultany?issue_id=58.